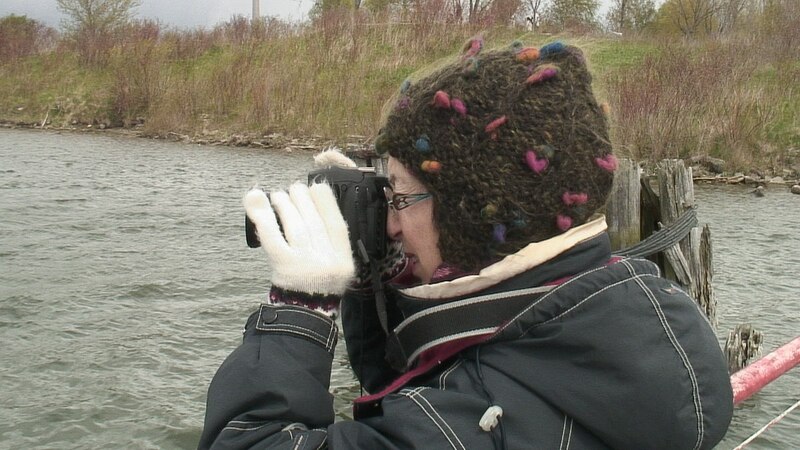 Toronto’s Tommy Thompson Park is revered as a magnificent location for birdwatching. 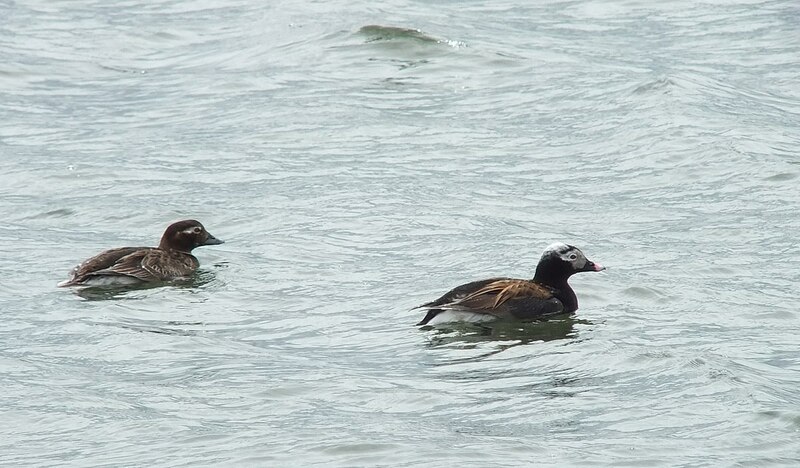 On one visit Bob and I saw many species of birds, among them a pair of Long-tailed Ducks (Clangula hyemalis). The transformation of the man-made peninsula into a wilderness retreat was accomplished by the forces of nature, with a little help from man. 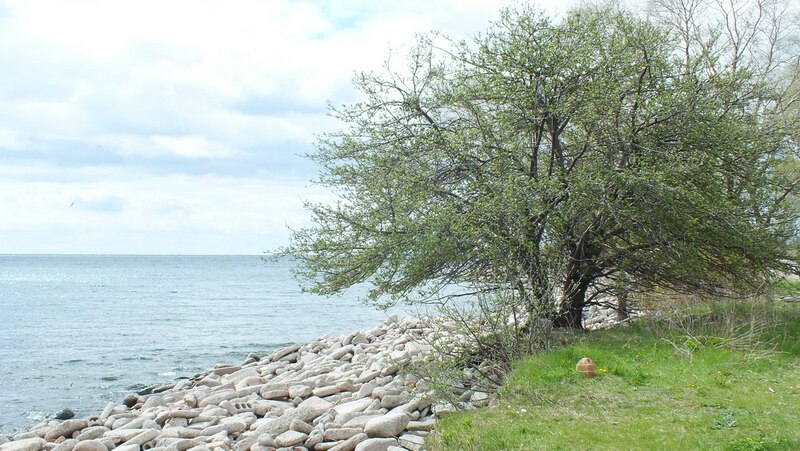 The end result is a protected wilderness retreat known as Tommy Thompson Park. It is an amazing place. 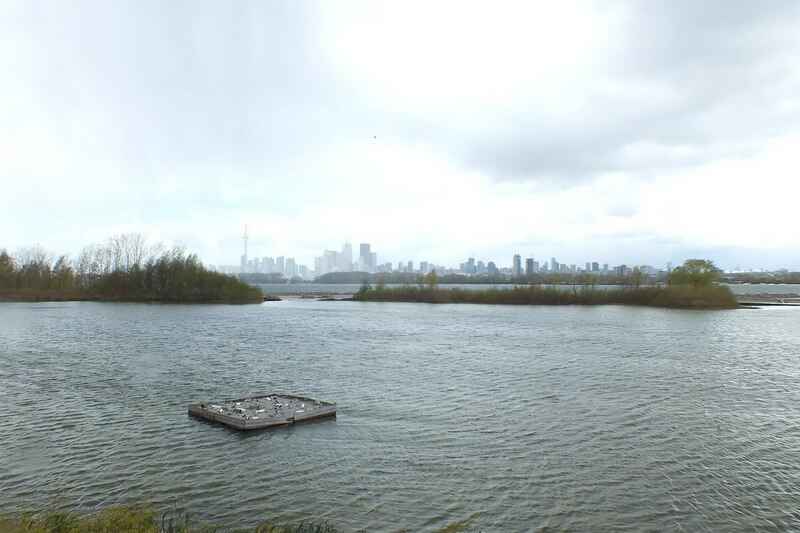 and views of Toronto’s skyline on the other. 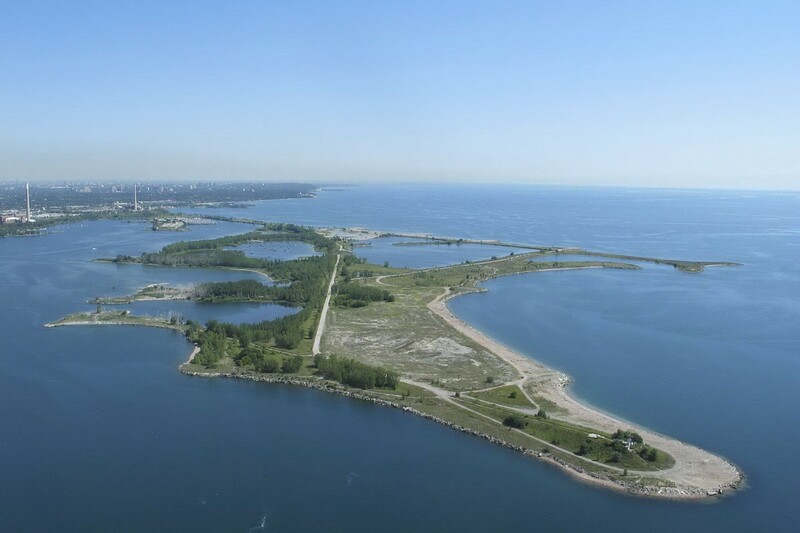 Tommy Thompson Park has grown into one of Toronto’s best-kept secrets and welcomes over 300 avian species during migration each year. 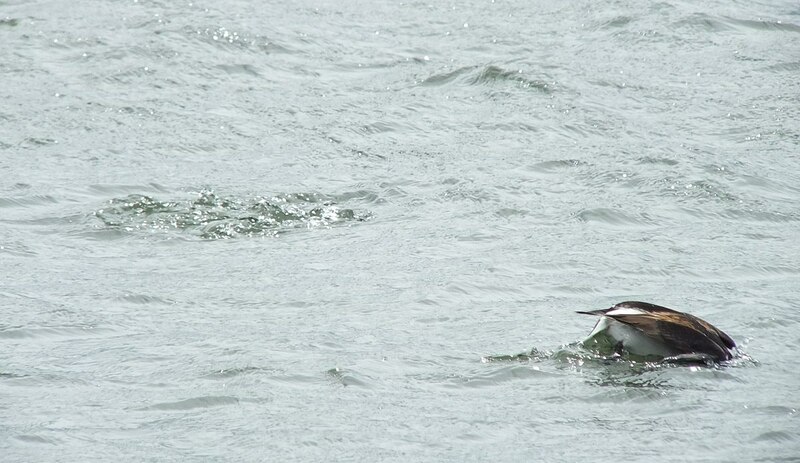 The park is home to many of these bird species, and also has a thriving bird research and banding station. 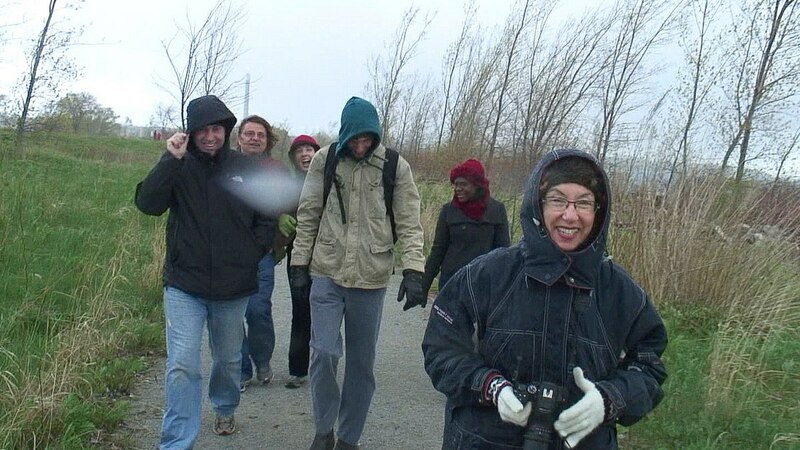 On the cold, windy, wet day that marked Mother’s Day, our family hiked out on the peninsula for 4 kilometers, even braving a driving shower of sharp hailstones. Where a small footbridge spans the water between two sections of the park is where I caught sight of the two Long-tailed Ducks. 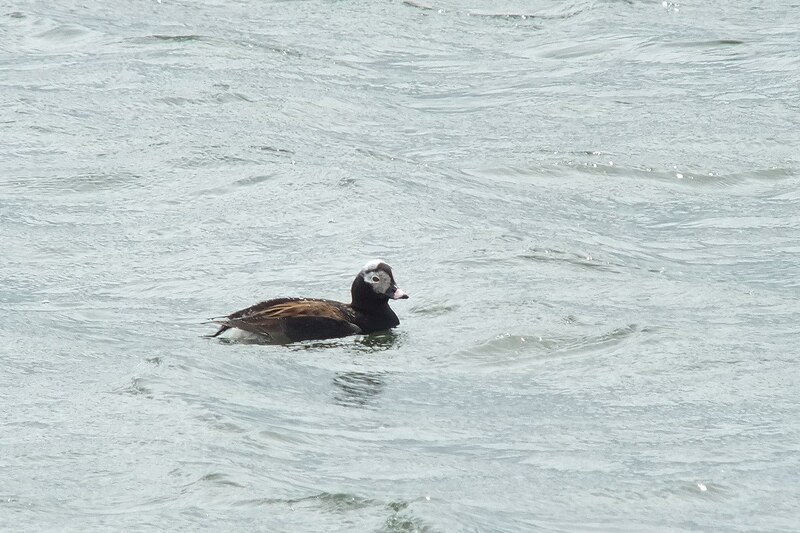 Long-tailed Ducks have distinctive features among ducks in terms of plumage, foraging behaviours, vocalizations and moulting sequences. Formerly known as Oldsquaw, that name has fallen out of use due to negative connotations relating to our First Nations people. 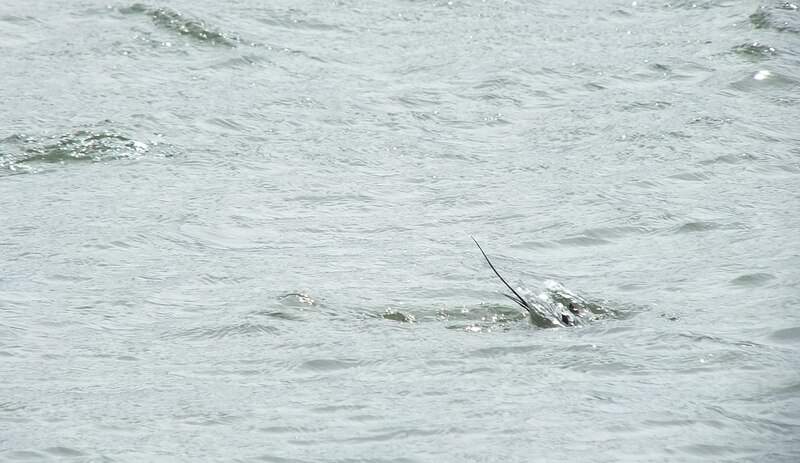 This pair was undoubtedly en route to its breeding grounds in the Arctic. 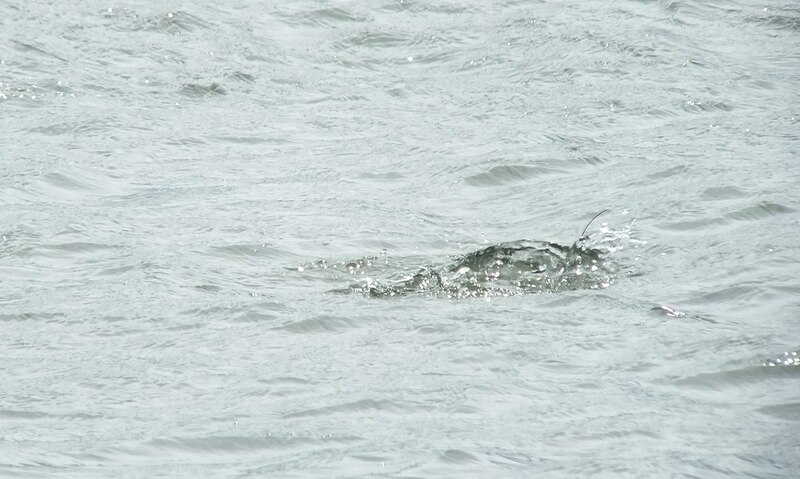 A sequence of photos reveals the trademark long tail of the male duck as it dives in search of food. 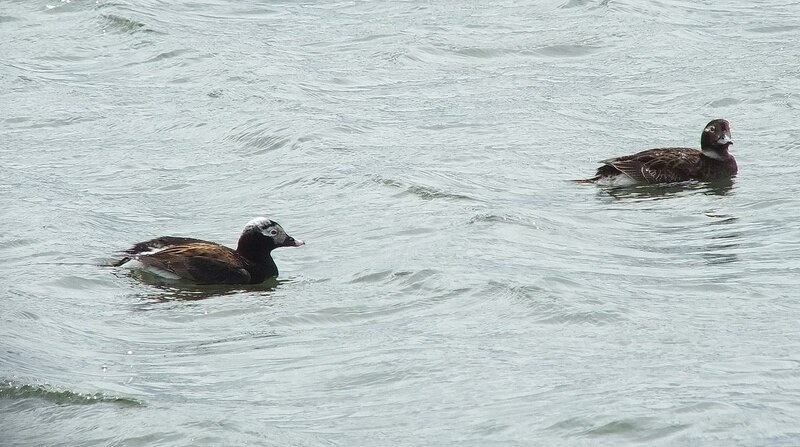 The female has a relatively short, pointed tail, unlike the long central tail feathers of the male. 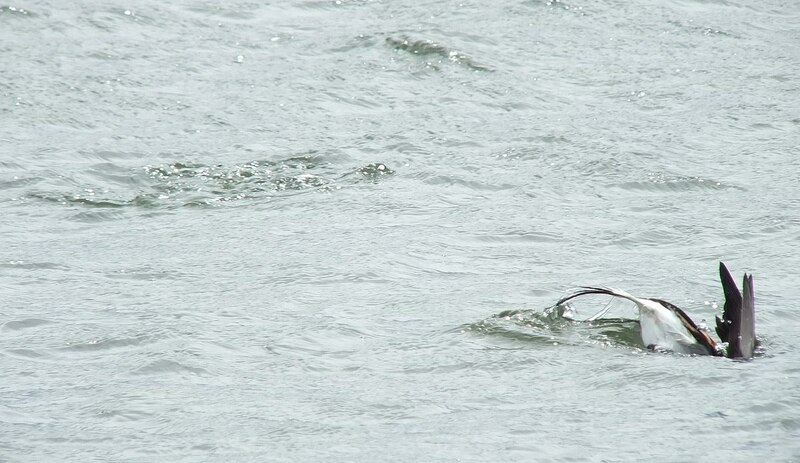 The male also is recognizable by the pink band near the tip of the dark grey bill. 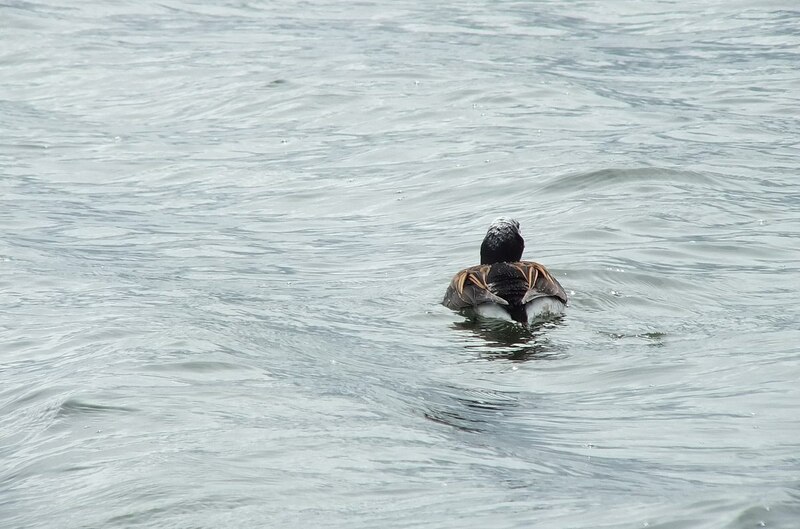 As we looked on, the pair of ducks repeatedly dipped below the waves, leaving us to wonder where they would pop up next. In the western United States, they are known as oldsquaw, but that name may be phased out. They are the only member of the genus, Clangula. They are expert feeders of crustaceans and molluscs. I saw them at the Klamath Basin National Wildlife Refuge in southern Oregon, and the staff there referred to them as oldsquaw.